ARE YOU READY #MAHONINGNATION ? 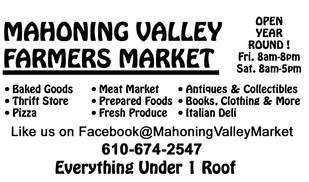 On behalf of Promoters Jack and Rebecca Carlino, we would like welcome everyone to the start of a new season at Mahoning Valley Speedway. There is so much buzz and excitement in the air leading into this Saturday and we, like all of you, can’t wait. Opening Day 2018 is just days away and it looks like Mother Nature is going to be on our side. Saturday temperatures are going to be in high 70’s during the day. 6:00 pm race time temp in mid-60s…we’ll take it! Grandstand admission is $12. $2 off for students, seniors 65+ and active military. Children under 10 are free. Coolers are allowed in grandstand but must be no bigger than 12” X 12”. No glass bottles. Please remember to be respectful and properly dispose of trash when leaving. The first 250 children age 12-years and younger to enter the grandstands will receive a plastic Easter egg filled with a coupon for a FREE Kids Meal with the purchase of an adult entrée at Texas Roadhouse, 6268 Hamilton Boulevard, Trexlertown. Also being given away to a few lucky kids will be brand new bicycles and big wheels. Details will be available upon arrival at the track. Pits will open at 11:30 am. Early paid practice ($25 per car) will be from 12:30 to 3:30. Regular warm-ups begin at 4:30. Pit admission $25 members, $35 non-members. Driver sign-ins will be from 3:00 to 4:15. Transponder cost is $6 if you have your own, $12 if you need to rent a track transponder. A driver’s license is needed for rented transponders. Driver’s meeting will take place at the pit shack following final round of warm-ups. Late Model drivers remember to pick up your decals for Five Star Race Car Bodies 2018 Contingency program. Decals will be available at sign-in desk. 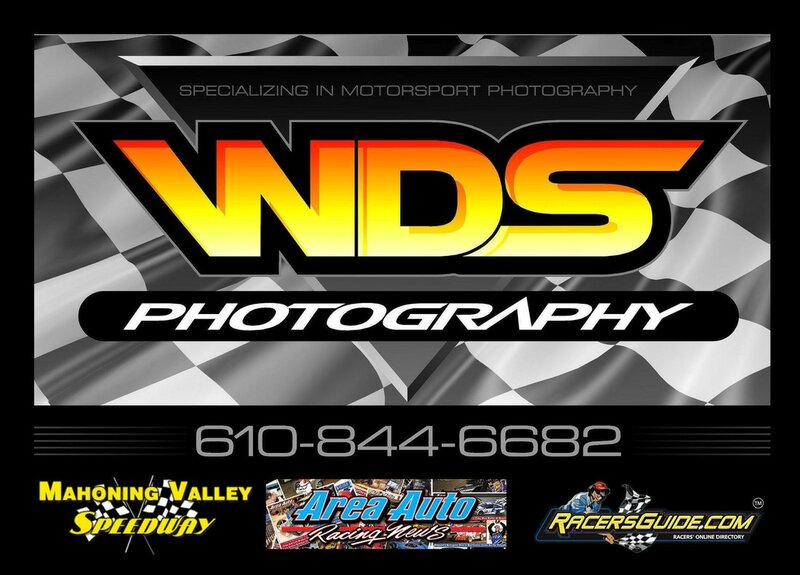 Running order for the night’s races are as follow: Heats – Micro Stocks, Late Models, Pro 4s, Modifieds, Hobby Stocks, Dirt Mods, Street Stocks. Consi’s if needed, will take place after heats and prior to intermission. Features will follow same order. (Running order subject to change.) There will be Victory Lane for all feature winners following each respective main. Please take a moment and register on Rainedout.com for instant text messages in the event throughout the season of weather cancellations. Link is on our website. 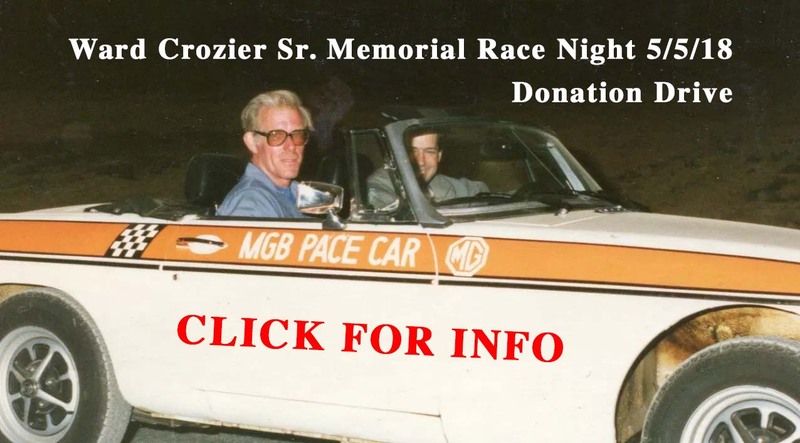 There will be lap sponsorship available for the Ward Crozier Sr. Memorial which takes place on May 5. Also commemorative t-shirt orders will be taken. Lastly, a big THANK YOU to everyone who worked unselfishly during these past few months in making sure the track is ready for racing.